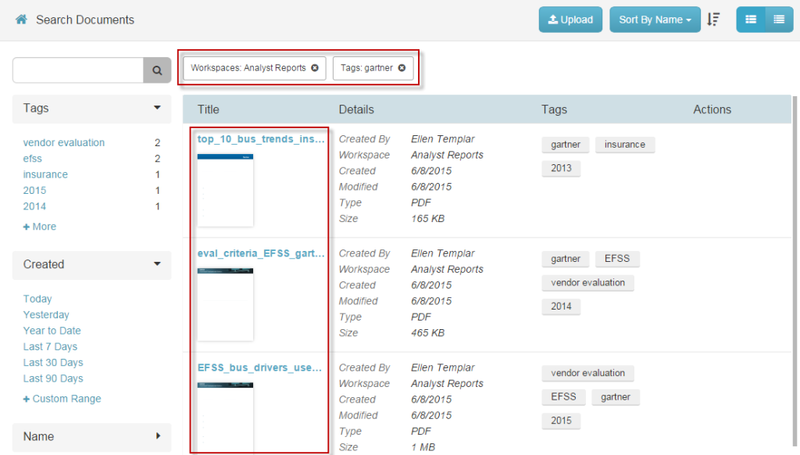 You can view tags when you view a workspace. You can view tags when you manage them for a file. 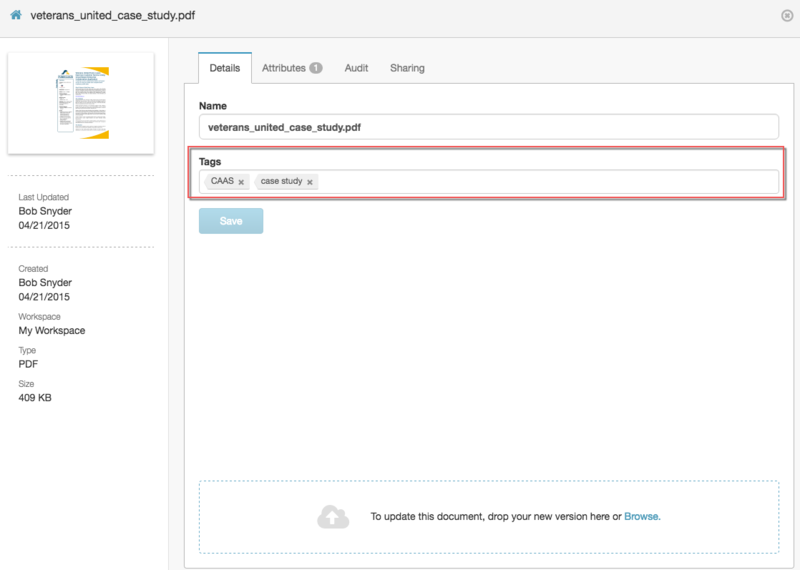 You do not need to include keywords from file names. 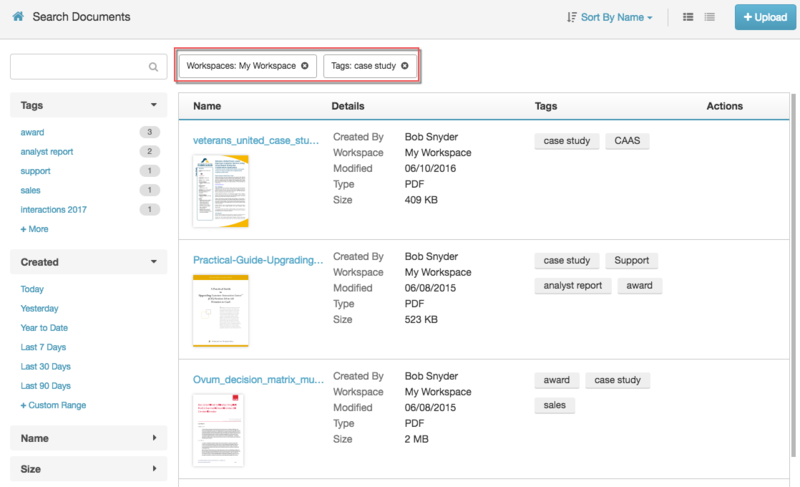 PureCloud’s search engine looks for matching text in file names, tags, and within the files themselves. 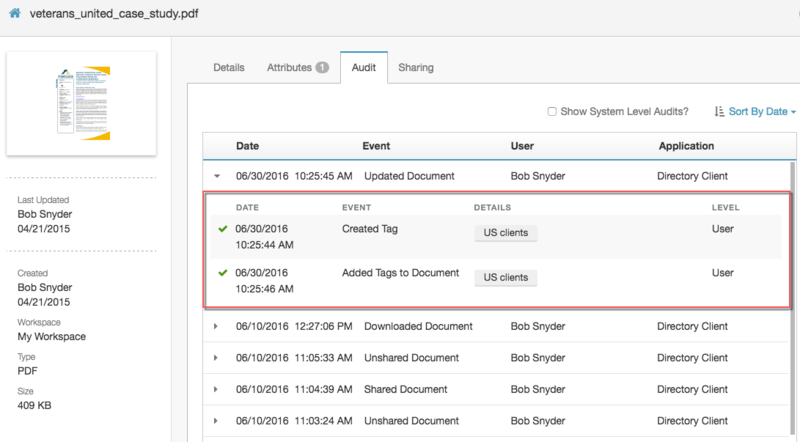 To help find specific files and related files, assign multiple tags to each file. 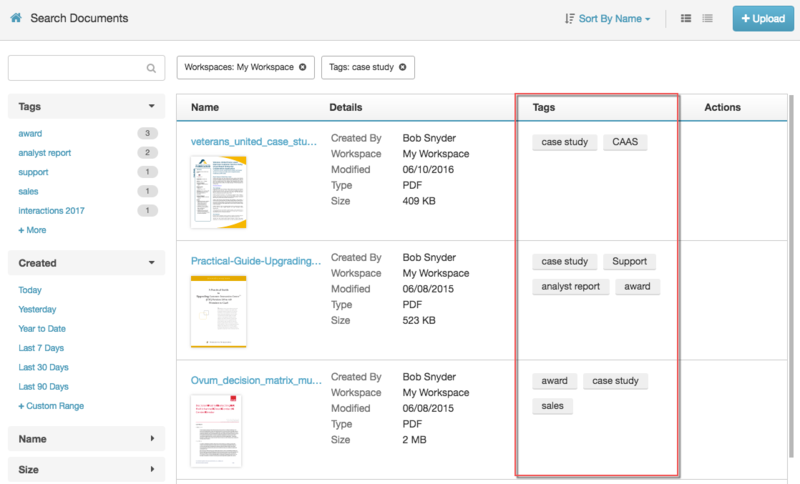 You can always add or remove tags as your content repository expands.